After working until 5:00 AM and getting four hours of sleep I'm in the mood for one thing: continuing my monastic dedication to cleaning out our fridge. I started by buying a bunch of stuff. This is not generally the best way to begin cleaning out a fridge but we have felt in the need for some healthier fare as of late. 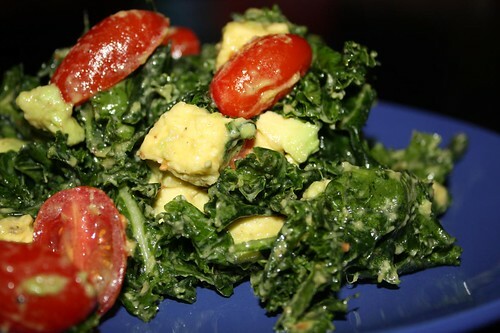 Therefore I made this salad of kale, avocado, grape tomato, and lime with a little cayenne. When I first started in the restaurant business I actually believed that kale was not edible. I thought it was edible in the same way that dirt was edible. You could eat it but you wouldn't want to. The only thing we ever used it for was as the base for a lemon wedge next to a casserole of baked scrod. Fifteen years later I think I've discovered that it may actually be (dare I say) delicious! 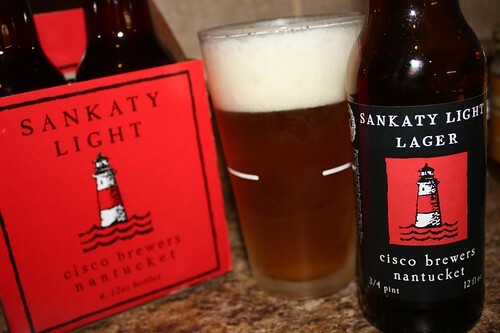 While I made the salad I enjoyed a Sankaty Light from Cisco Brewers on Nantucket. The beer was delicious but a word to the wise: a single glass of beer on four hours of sleep is akin to taking a handful of quaaludes on a regular night's sleep. don't do it. After last week's Chicken Pepperoni I still had some pepperoni hanging around. Instead of the trite Chicken Peperoni dish I decided to use it in a much more original way: as a topping for a pizza! 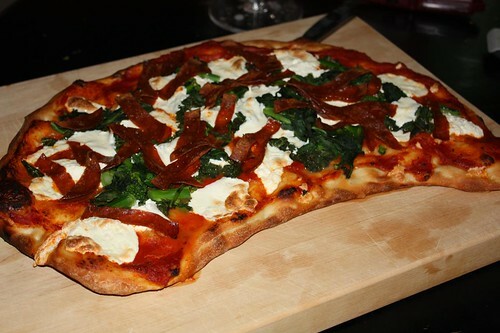 I also used some ricotta, mustard greens, mozzarella, and broccoli rabe on the piza as well. A problem I've been having lately with the pizza stone is that my pizzas always come out in a boomerang shape. Tonight I took extra care with the dough. I actually practiced my technique several times on a sheet pan before placing it on the pizza stone. The result of all of this practice was in the most boomerang-shaped pizza yet. I've decided that instead of trying to avoid it I will adopt this as my trademark. 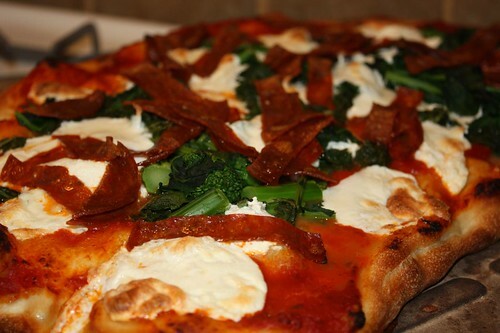 Nate's Boomerang Pizza. Now if only I could get that limo driver from Crocodile Dundee to use this to foil some bad guys. Then this would truly be the best pizza of all time.